When it comes to IT solutions and data storage businesses today, you have more options than ever before. 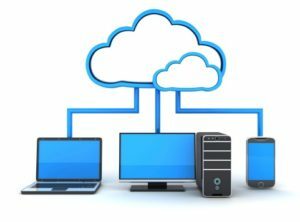 Why should you choose cloud storage? When it comes to IT solutions and data storage businesses today, you have more options than ever before. If you’re navigating which solution is right for your business, it may be time to have an in-depth discussion with your IT team to see what your needs are and what system will be best for you. For many businesses, using cloud-based storage is a great option, although it is by no means a one-size-fits-all system and may not be best for every business. Using a mix of both public and private internet-based servers, the cloud is a way to store data without having physical space. Cloud storage offers a lot of flexibility to businesses of any size. That said, if there is a data breach, your information could be at risk. If you are exploring the possibilities of cloud-based services, make sure to look into how they handle breaches and what defense mechanisms they might have. Before you rush into any cloud storage solution make sure to take all of the factors into consideration. Start by considering how cost-effective it might be. Different providers may have different rates. Additionally, you should work with your IT team or a trusted professional to get a realistic idea of what in-house storage might cost. Once you have these figures, you can make a more informed decision. Second, be sure that the choice you make gives you the flexibility to grow and change. If you chose to invest in an in-house system, for instance, and you outgrow it within a year, you may find yourself needing to spend more money faster than anticipated. Lastly, make sure whatever you choose is secure. Data security risks are higher than ever, and a breach can leave your company in serious trouble. This entry was posted on Friday, April 12th, 2019 at 12:05 pm. Both comments and pings are currently closed.